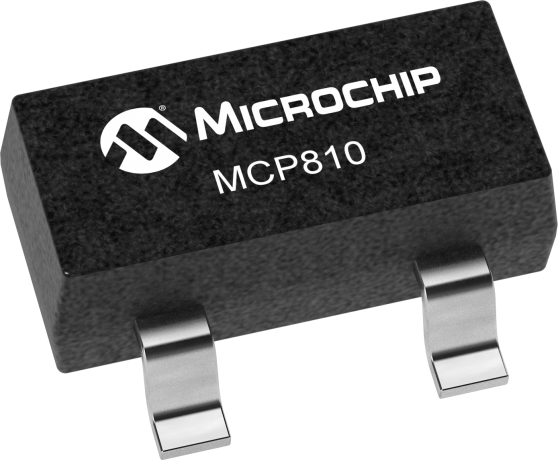 The MCP810 is a voltage supervisory device designed to keep a microcontroller in reset until the system voltage has reached the proper level and stabilized. It also operates as protection from brown-out conditions when the supply voltage drops below a safe operating level. MCP809 has a CMOS push-pull output with active high reset and is available in a choice of seven different trip voltages. It operates over the extended industrial temperature range (-40°C/+85°C). MCP810 is available in a SOT23-3 package.